The story about why I create websites for speakers and coaches is one I’ve been meaning to tell for a long time. I’ve worked on websites across the board, within a lot of different industries. I’ve worked on websites for lawyers, dentists, retail, churches, authors, and restaurants. I could have chosen to focus any number of industries. 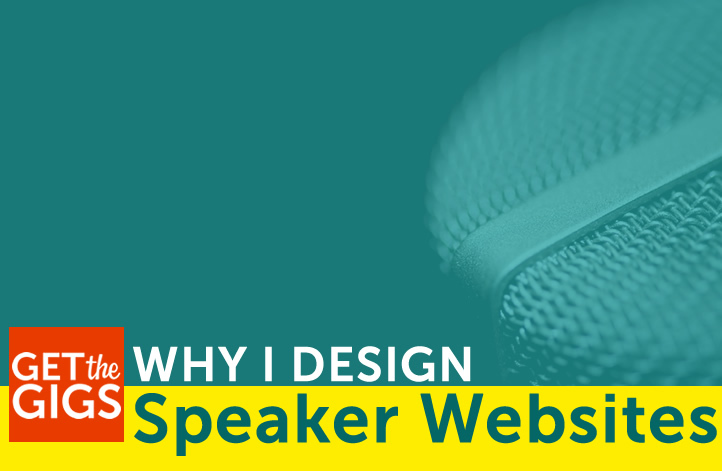 Several, though, I made the decision to focus on websites for speakers and coaches. In 2012, I was struggling. I was two years removed from setting out on my own. Even though I’m good at what I do, I wasn’t attracting the right kind of clients and was making little more than enough money to pay my bills. That’s when I came to my “get it right or get out” moment. I was either going to figure out how to turn my business around or I was going back to the corporate world. To help me sort it out, I hired a business coach who was specializing in helping tech-driven companies (it was this guy). The difference was night and day and it was immediate. Right away I put some practices in place that turned things around for. My rates went up. I started attracting better clients. I ditched a lot of bad habits and picked up a lot of great new ones – habits that are still a major part of my business today. I was really blown away by the impact my coach had on my business and knew then that the people who make a living by helping others really DO make a difference. My business coach went on to make speaking a big part of his business. I was able to return the favor and help him with his website and help him get more speaking gigs. I know that he went on to do some amazing things, (and is still doing amazing things) helping businesses from the stage, in small part because of the work we did on his website. A good speaker is really someone who coaches from the stage. I like the idea of helping people that make a business out of helping others. I like to think that I’m helping speakers extend their message beyond the stage and helping coaches extend beyond their sessions. I like to think that, by proxy, I can claim a very small part of all the breakthroughs that those in the coaching community are so great at prompting. My questions for you? What do you deal with as a speaker or coach that’s unique to your profession? What are the challenges that you’ve had to face with your website and branding? I love hearing from people who are in the middle of it all, so send me an email and let me know! 7 Ways To Nail That Speaker One Sheet Why Your Website Isn’t Getting You The Gig!